Winemaker, Chris Canning, and partner, Bryan Mogridge, chose Waiheke Island as having the climate and soils capable of producing a world class 'Super Red' New Zealand wine and planted The Hay Paddock vineyard in Onetangi Valley with immediate international success. Their syrah blends have won many major awards and are sold to connoisseurs and collectors world wide. 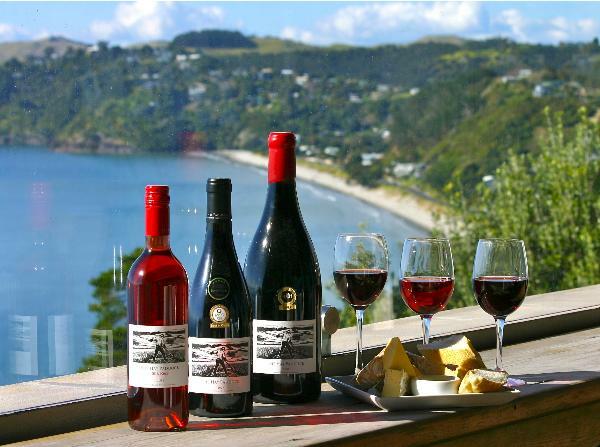 Hay Paddock Wines Cellar Door at Rangihoua Estate offers daily tastings of The Hay Paddock award-winning wines together with olive oils from the island’s largest prize-winning producer in a beautiful garden setting, home to many island festivals.